The UNO men's basketball team won its 5th straight game to stay atop the Summit League standings on Thursday. FORT WAYNE, Ind. 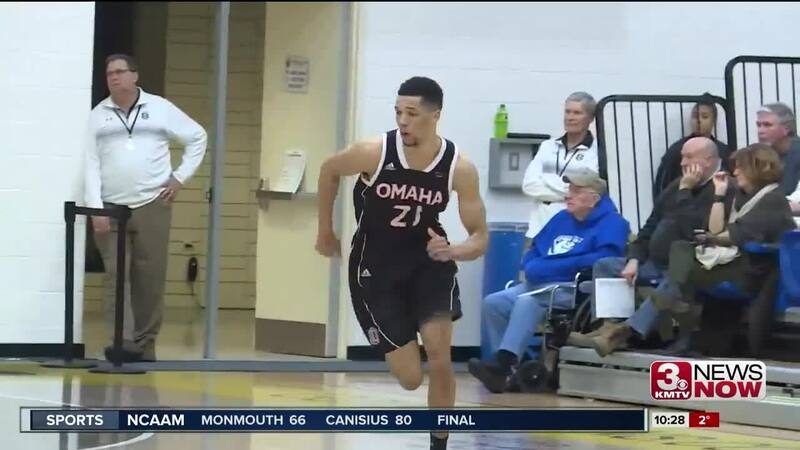 (KMTV) — The UNO men's basketball team rallied from a 17 point deficit in the 2nd half to force overtime & eventually beat Purdue Fort Wayne, 85-79 on Thursday. It marked the Mavs' 5th straight win keeping them tied atop the Summit League standings with South Dakota State. Omaha visits SDSU on Saturday starting at 4:15 p.m.
Senior Zach Jackson led the way Thursday night against the Mastodons scoring a game-high 25 points. Fellow senior captain Mitch Hahn had 23. UNO has now won nine of its last ten.